Or, get it for 237600 Kobo Super Points! 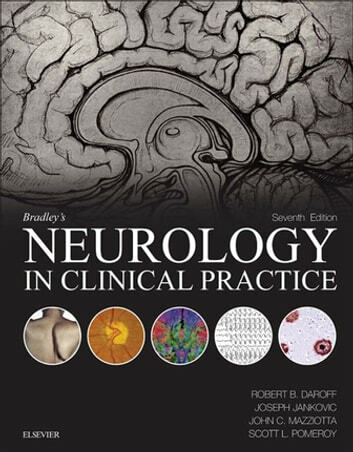 Comprehensive, easy to read, and clinically relevant, Bradley’s Neurology in Clinical Practice provides the most up-to-date information presented by a veritable "Who's Who" of clinical neuroscience. Its unique organization allows users to access content both by presenting symptom/sign and by specific disease entities—mirroring the way neurologists practice. A practical, straightforward style; templated organization; evidence-based references; and robust interactive content combine to make this an ideal, dynamic resource for both practicing neurologists and trainees. Authoritative, up-to-date guidance from Drs. 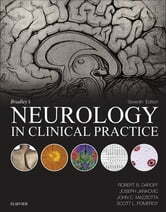 Daroff, Jankovic, Mazziotta, and Pomeroy along with more than 150 expert contributors equips you to effectively diagnose and manage the full range of neurological disorders. Easy searches through an intuitive organization by both symptom and grouping of diseases mirrors the way you practice. The latest advances in clinical neurogenetics, brain perfusion techniques for cerebrovascular disease, the relationship between neurotrauma and neurodegenerative disease, management strategies for levodopa-related complications in movement disorders, progressive neuropsychiatric disorders arising from autoimmune encephalitis, and more keep you at the forefront of your field. Reorganized table of contents which includes new chapters on: Brain Death, Vegetative, and Minimally Conscious States; Deep Brain Stimulation; Sexual Dysfunction in Degenerative and Spinal Cord Disorders; Sports and Performance Concussion; Effects of Drug Abuse on the Nervous System; and Mechanisms of Neurodegenerative Disorders.